Chrome is not only one of the preferred browser for Windows but also for Android. But when talking about privacy, are you completely sure that Chrome is safe to browse? Are all the privacy settings enabled in the browser? And if not, then what privacy settings and features need to be enabled to make Chrome a safer place to browse. 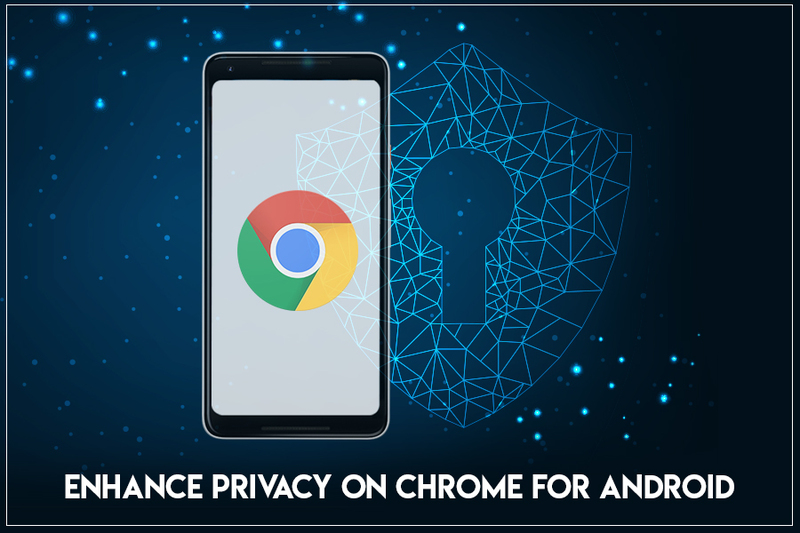 This article will answer all these questions as we summed up some important tips to enhance privacy on Chrome for Android. We are all familiar with cookies that websites drop on our device for tracking our activities over web. These cookies keep on tracking the activity no matter you are actively present on the domain of that website or not. Therefore, we suggest you enable DO Not Track in your browser, that is by default turned off. 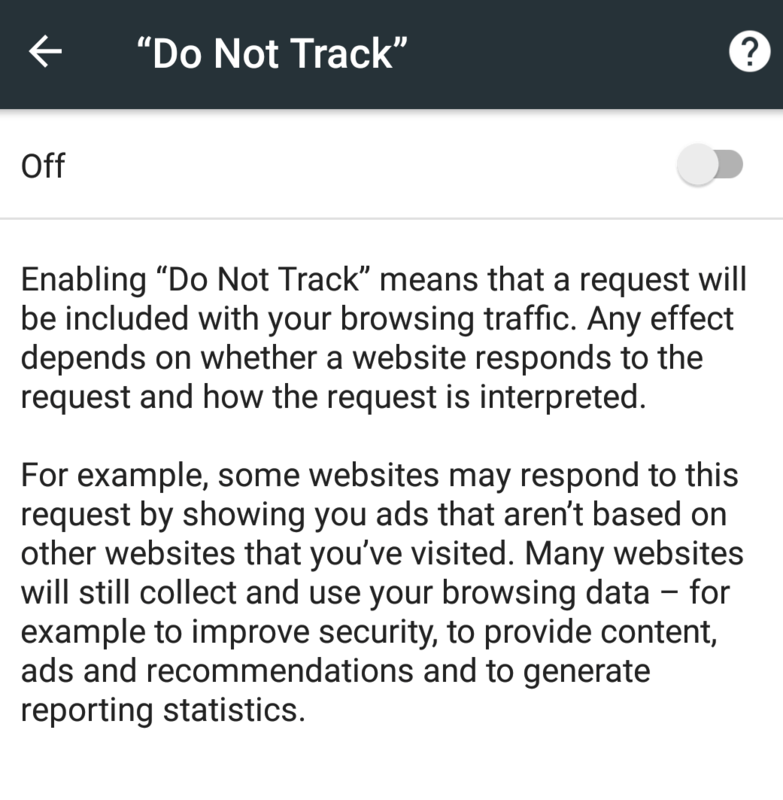 Once you enable Do Not Track, a request not to track the activities will be contained within your browsing traffic. But still ball lies in the court of the website to comply with this request or not. However, all the majority of websites respect this request therefore once you enable this feature they will no more track you. 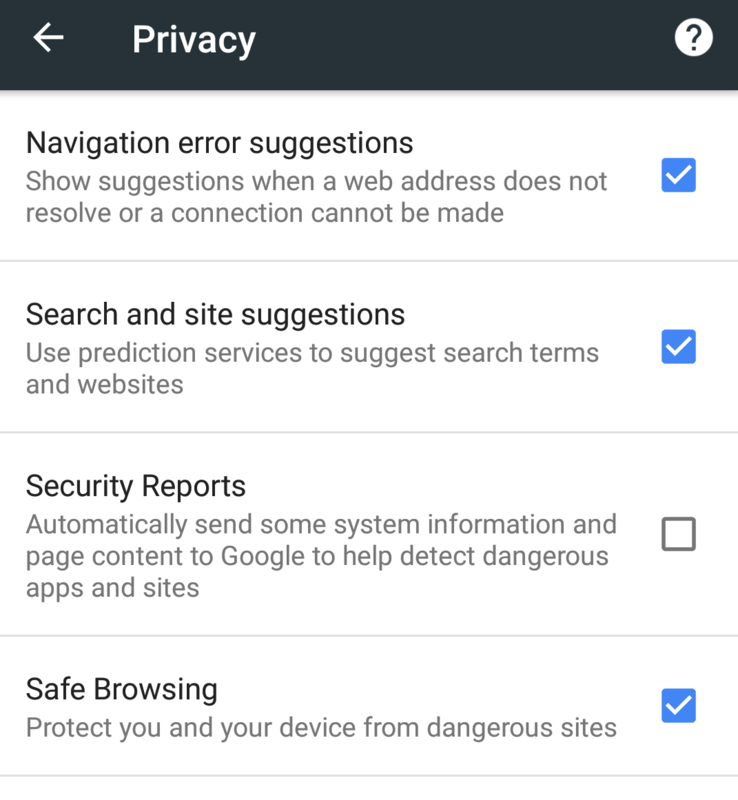 To enable Do Not Track in Chrome tap on the menu icon at the top right corner and select Settings > Privacy. Now tap on Do Not Track option and toggle it to ON. Presently a steep rise has been noticed in phishing attacks, and compromised and malicious websites. To stay protected Google has a smart solution in form of Safe Browsing, that makes our browsing experience safer. If you have enabled this feature then whenever you try to browse an unsecured site. Moreover, this feature also warns when any website tries to install any type of application on your device. To enable safe browsing, tap on the menu icon at the top right corner and select Settings > Privacy. Now tap on Safe Browsing to enable it. Autofill although eases our work by retyping those name, address, but it is also a security threat. If you have enabled Autofill, it will automatically fill your payment details and someone that has access to your device can end up burning a hole in your pocket. Therefore, we recommend you to turn off autofill by tapping on the menu icon at the top right corner and select Settings. Now tap on Autofill and payment option and toggle Auto-fill forms to off. For more security you may consider removing the cards if you have already added a one. You can also delete previously stored Autofill form data by navigating to Settings > Privacy > Clear browsing data > Advanced > Select Autofill form data and tap on Clear Data. No doubt that enabling prediction services speeds up the searching process but this also can be a security loophole. If this option is turned on then Chrome will parse the data to the default search provider that you type in the address bar. 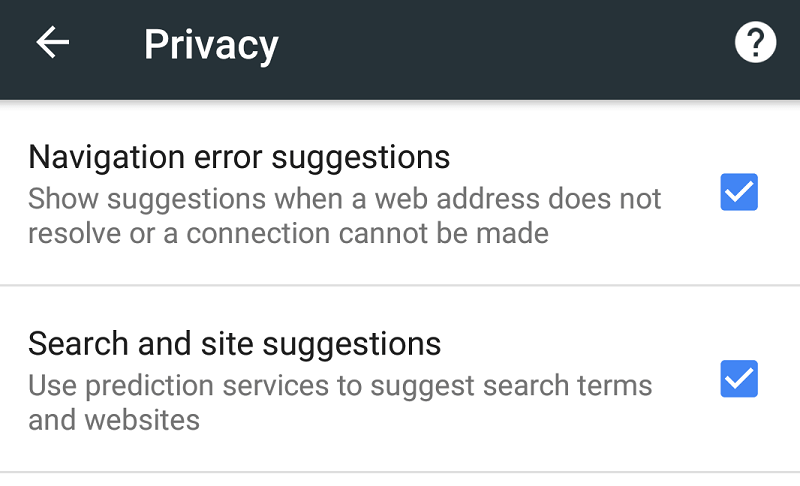 This is fine until you use Google as search provider but if anything else then it may cause privacy concern. Therefore, to disable this option tap on the menu icon at the top right corner and select Settings > Privacy. Now tap on Search and Site Suggestions to turn it off. Most of us completely ignore this setting. Or in other words, we are just so busy that we have no time to find that which permissions a site has asked from us and what we have allowed. If you check the site permission setting then you will find more than 10 different types of permission that a site requires, like notifications, storage, microphone etc. 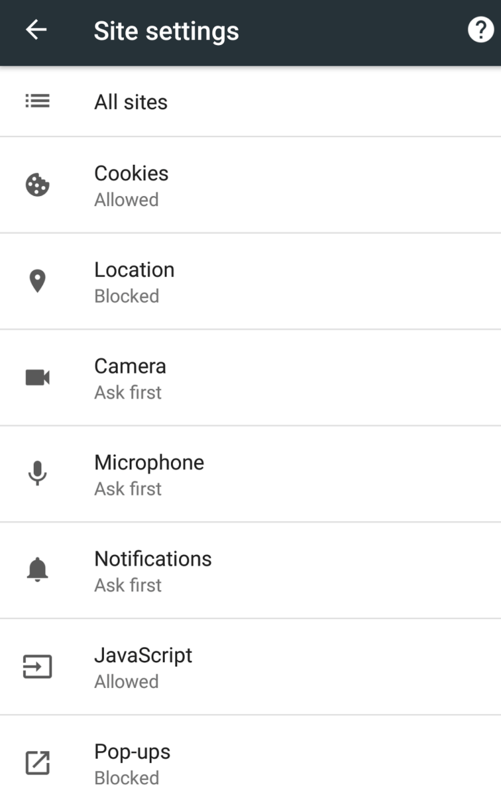 Although some of these permissions are by default allowed but on a more secure note you should change these permissions to “Ask first”. To change the site permission tap on the menu icon at the top right corner and select Settings > Site Settings. Now change the permission to Ask first wherever applicable. 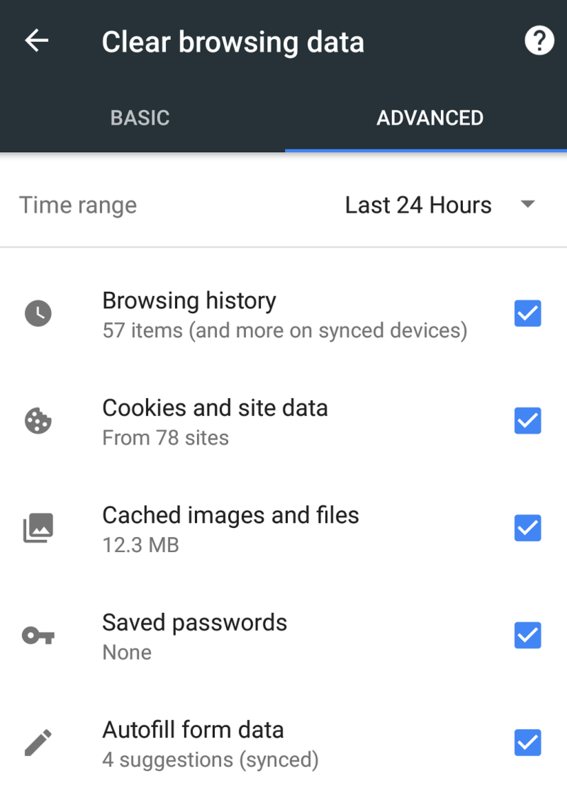 So, guy’s these are some of the tips that will help you to boost privacy on Chrome for Android. If you have any other tip to share, then do share it within the comment box below. ← Are OEM Computer Components Safe to Use?